Ufone has signed a Memorandum of Understanding with The Institute of Chartered Accountants of Pakistan (ICAP) where members of the Institute will be provided special rates on BlackBerry and postpaid services provided by Ufone. This is a step towards the right direction as all ICAP members will have the privilege to remain in touch at all times with Ufone’s pocket friendly postpaid packages alongside a wide network coverage in 10,000+ locations across all major highways of Pakistan. Ufone currently caters for International Roaming to more than 282 live operators in more than 157 countries. Ufone also offers Pakistan’s largest GPRS & BlackBerry Roaming coverage available with more than 185 Live Operators across 111 countries. Mr. Abdul Aziz Chief Executive Officer Ufone speaking at the occasion said that this is indeed a promising business venture. We are sure that our superior services shall be of great help to the users. We wish our new customers a fulfilling experience with the Ufone network and shall ensure that we bring a smile to all with the finest services in the industry. Mr. Abdul Rahim Suriya President, ICAP said with this MOU with Ufone GSM, ICAP intends to arrange for its members cost savings on latest available technology and bring more products and services within their reach. 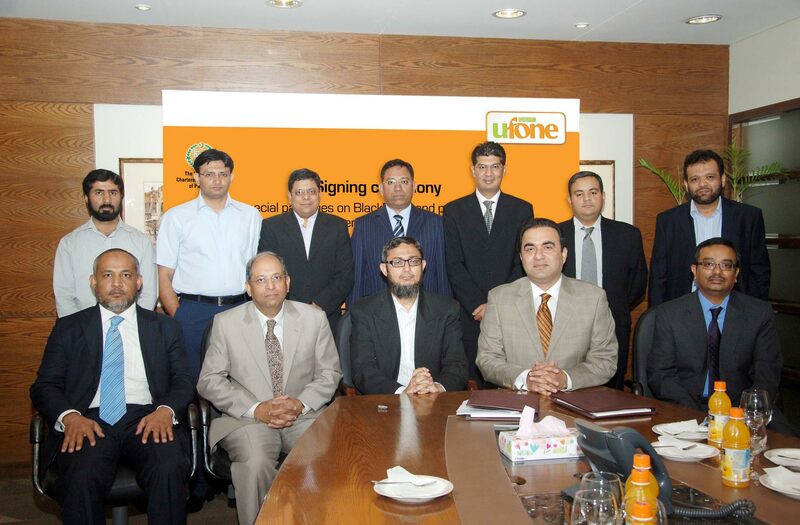 We look forward to a healthy business relationship with Ufone. Ufone is an Etisalat Group Company with its presence in all the major cities of Pakistan along with a comprehensive coverage across all major towns, villages and tehsil headquarters of the country. The company employs more than 3,850 people and operates with a network of more than 375 franchises and 26 company owned customer service centers along with a distribution network of 150,000 outlets nationwide. What about C.A students as i am also a C.A student,their should be some relaxation in ufone tariff for ICAP Registered students.